Sponsored By Reebok & The Mike Modano Foundation at every home game. Four seats are donated to local charitable organizations where kids can enjoy watching Modano play at their first hockey game. 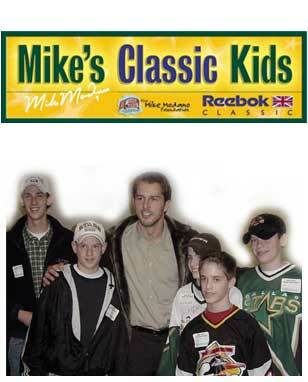 Next time you're watching the Dallas Stars play at home, be on the lookout for Mike's Classic Kids banner.